What happens when strangers bond over a bucket of KFC? Well KFC is aiming to depict just that. While the nation ushers in the upcoming National Day and Malaysia Day, KFC Malaysia is seizing this opportunity to launch a campaign based on the spirit of unity, over its bucket of fried chicken. The main idea is to cheekily illustrate budding relationships between strangers of polar opposites over a bucket of KFC. 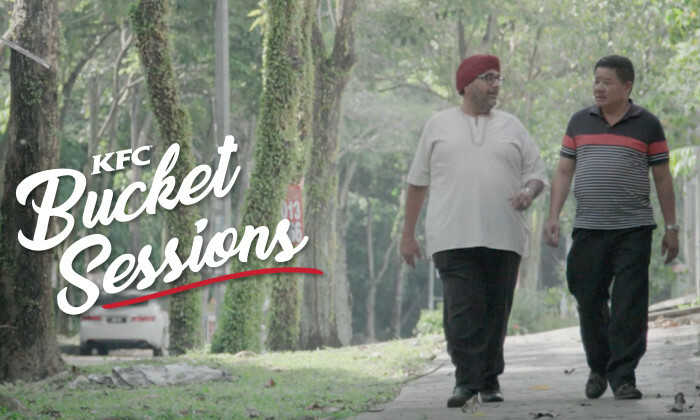 Besides that, the thought behind KFC’s “The Bucket Sessions” is also to show that Malaysians have a lot more in common than they think – their love for food is one of it. Conceptualised by Naga DDB Tribal, the agency said the concept behind this social experiment is to further strengthen the idea of camaraderie among Malaysians. “We believe that Malaysians are generally a friendly bunch and all it takes for friendship to happen is a simple conversation. What more a better way to ignite one over a bucket of KFC?” Naga DDB Tribal’s executive creative director, Alvin Teoh said. The group’s governing bodies feel an obligation to study any possibility to strengthen its position. ..